Oh hey, look at that….everyone gets in the Hall of Fame. Everyone. 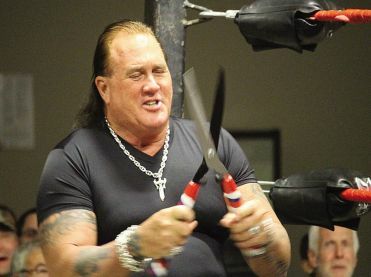 For those like me who grew up in the 1980s, the name of Brutus the Barber Beefcake is a well known one. He played 6th or 7th high baby face during his tenure as a baby face with the company, 1987-1991, and again 1991-1993. (Just below, Hulk Hogan, Ultimate Warrior, Randy Savage, Jake Roberts, Jim Duggan, Dusty Rhodes, and depending on the year Demolition). There are a few issues here. Beefcake wasn’t a good wrestler. He wasn’t a good talker. He wasn’t really anything except a silly gimmick, which he milked for years. There is one reason he was given the opportunity to milk said character in WWF and to have any kind of success in wrestling, and that’s this man. 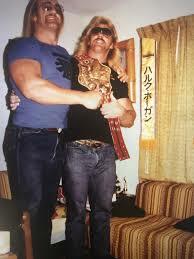 You see Ed Leslie, as I will refer to him for rest of this piece was really good, close best friends of the biggest star in the company , or in wrestling in general. Sometimes its not who you are, how talented you are or any some such as much as its who you know. 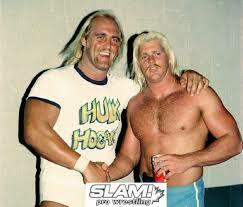 Well Ed Leslie knew Hulk Hogan. He KNEW him really well and that means he has talent. See. He got his job, his success, his lasting push (at one point being booked to end Mr. Perfect’s undefeated streak) are all due to that man. 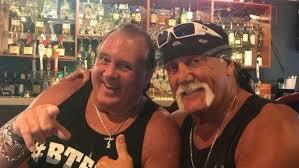 Brutus Beefcake is Mr. Nepotism. 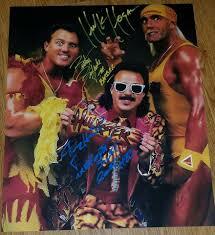 An easy way to tell a great wrestler is by three elements. They first can wrestle. Can Leslie? Okay, well they can talk then. Can Leslie? 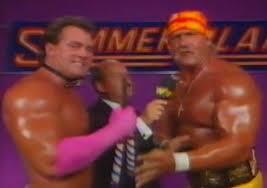 Alright, if neither of those, they at least have a memorable lasting character, like Hillbilly Jim or Jim Duggan. Does Leslie succeed here? Three strikes and you are out. 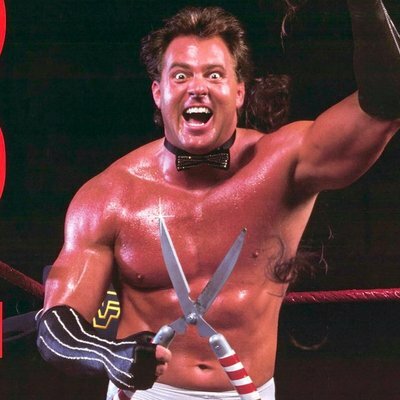 Ed Leslie had SO MANY GIMMICKS. He had so many because he WAS TERRIBLE! 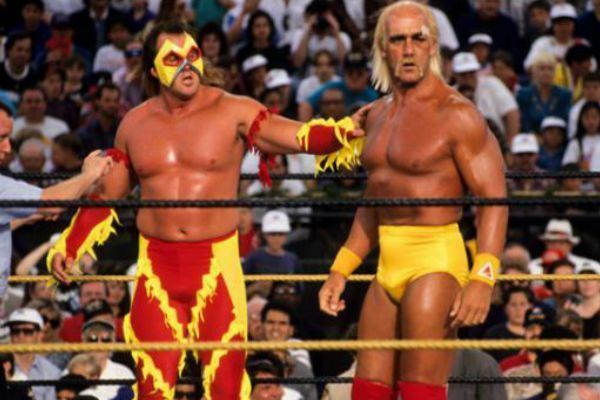 Leslie followed Hogan to WCW for no other reason except he was close to Hulk Hogan. You don’t remember the amazing ground breaking character of the Bootyman? Notice how three of those share last names with Hulk Hogan (Dizzy, Eddie & Ed Boulder, brother to Terry “The Hulk” Boulder). So why now? Why Leslie. Easy. 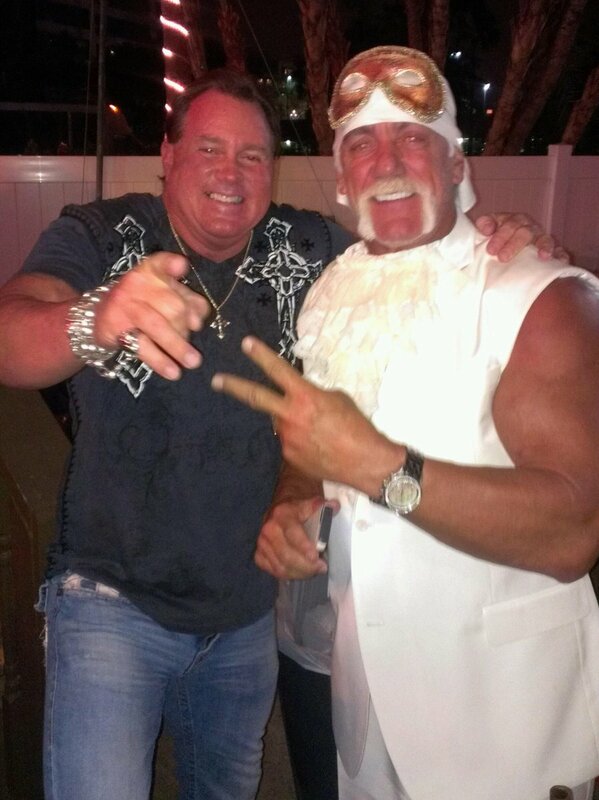 You see Hulk Hogan is back in the good graces with WWE. 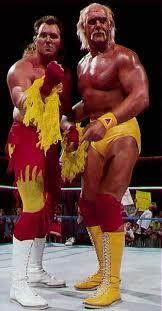 So, when Hulk Hogan asks, the WWE is like, what the hell why not. Why the hell not?! This is why the hell not. But hey, everyone gets in the hall of fame. Everyone. EVERYONE. You just need to have a good friend. Spell it out with me. What does that spell? Go to Hell. Who is John Cena’s best friend? How about Roman Reigns? THE MAN With NO Name.. Hall of Famer? This entry was posted in 1 out of 10, Best Friends Wing, Class of 2019, Meh Inductee Wing, Meh Wing and tagged brutus beefcake, Class of 2019. Bookmark the permalink. The Memphis Bleek of wrestling.